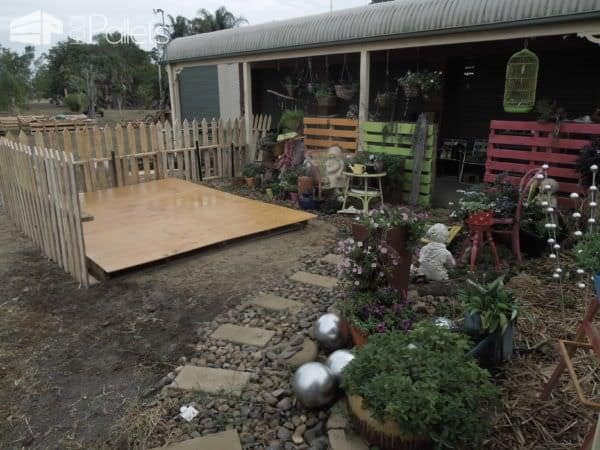 You can build your own Private Pallet Garden with some free time, some free pallets, and a bit of creativity. New neighbors moved in, and we no longer had privacy! 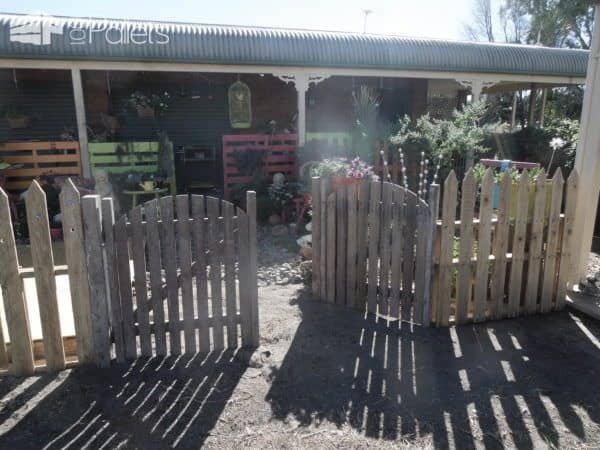 We needed a semi-permanent, private garden, but we couldn't have any posts or cement. We also didn't want to plant directly in the ground. We're in our 60's, and eventually plan to downsize in a few years.  This means that everything we add must be removed for the sale of the home. 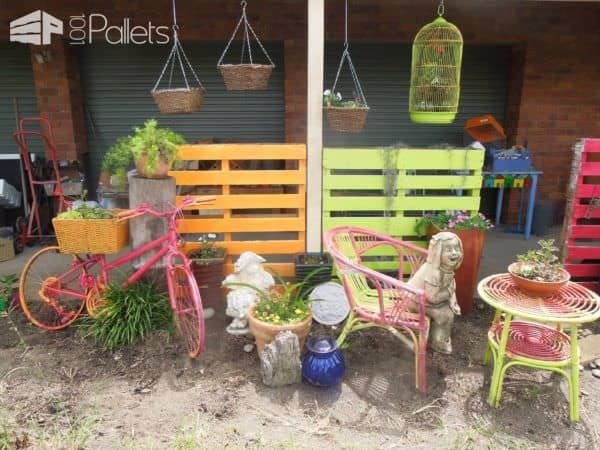 We started by adding brightly painted pallets attached to the edge of the existing veranda using metal plates screwed on to secure them in place. 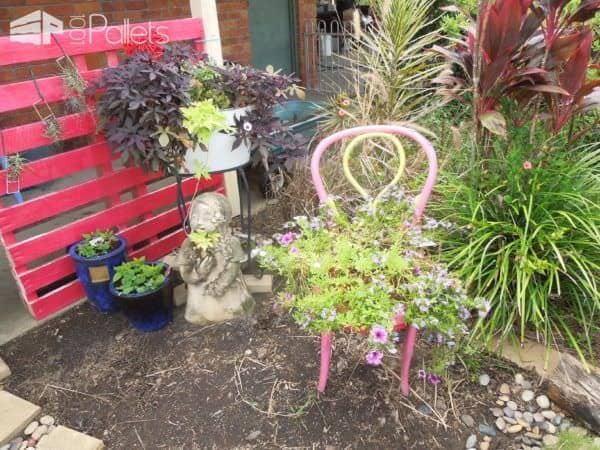 We chose several cheerful colors as the backdrop for potted plants and some of my art pieces (like plants in chairs, decorated pavers, and river stones). Then came the exciting bit! 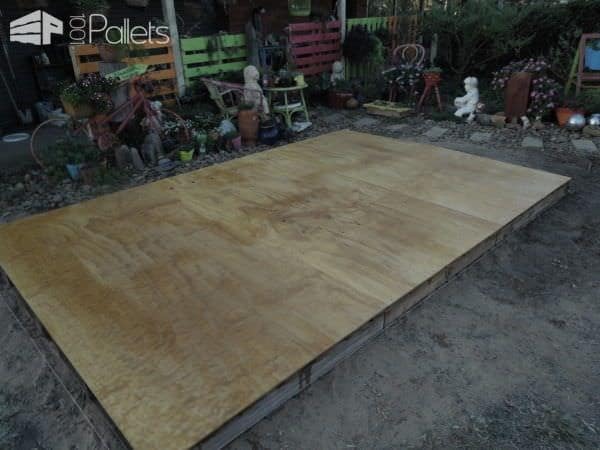 We made a temporary floor by leveling the ground and then leveling the pallets on top. 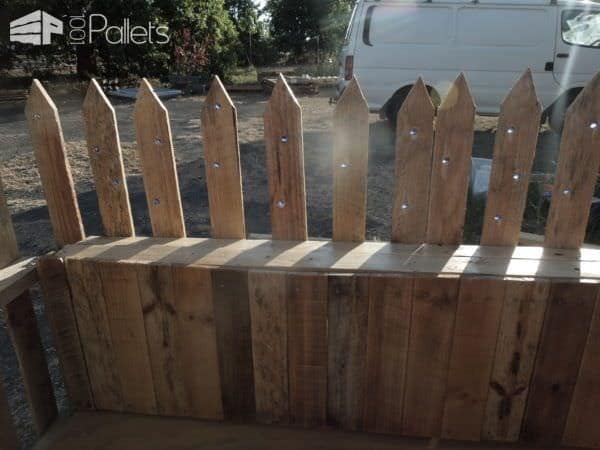 I made picket fences from pallets, sanded them and varnished to seal. My husband helped me realized my garden project by acting as my engineer. For some added whimsy, I drilled holes into the pickets and inserted blue glass pebbles to catch the sun. Our neighbors gave us a set of 100-year-old gates from their old sugar farm, and they add a beautiful rustic touch. I fashioned a shelf from more pallet wood. 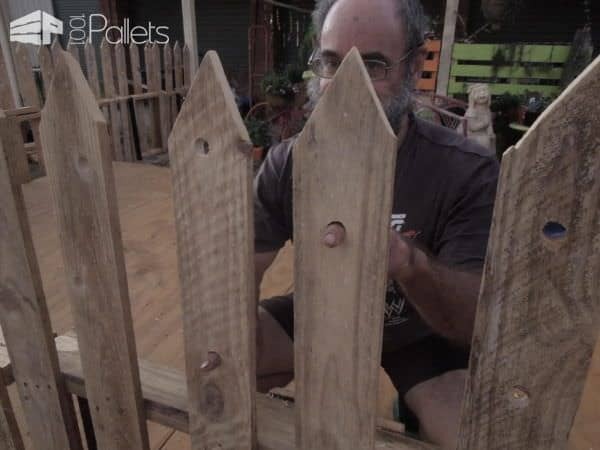 I used two fascia boards to hide the pallet straps and the wood holding up the fence. I covered the area below the shelf with more pallet wood for a finished look. I varnished it all to protect it from the weather. I'm not done yet; I have more ideas and this is a work in progress, but we're very happy with our new Private Pallet Garden.